1. Danny, you are an employee of Greenpeace Philippines. When and why did you join Greenpeace? What is your job about? I’ve been an employee for Greenpeace (GP) since August of 2004 doing the campaign against GMOs. I was a volunteer since Greenpeace first had activities and visited the Philippines way back in the 90s. I joined Greenpeace officially since I have been interested in the campaign against GMOs and their release into the environment. As a Filipino, I really find it ridiculous for such a country as Philippines that has so much diversity in crops and yet GMOs are being approved left and right without considering their long-term impact. Even before joining GP as a staff, I did a lot of volunteer work also for other campaigns so when the post for Genetic Engineering Campaigner opened I applied for the job and got it. My job is primarily about trying to influence and change the government policy on agriculture and release of GMOs into the environment (including field testing and commercial propagation). We are not against genetic engineering per se but our main concern is the long-term environmental and health impacts of GMOs once released into the enviroment, contaminates other crops and their use in food and agriculture. My job also gives me the chance to work with a diverse group of people from other NGOs, to farmers, local governments to health advocates and those in the food industry to create a change in how we look at and produce food. 2. What campaings is Greenpeace Philippines mainly working on? Globally we have six campaigns: Climate and Energy, Oceans, Toxics and Water, Forests, Disarmament and Sustainable Agriculture and Genetic Engineering. In Southeast Asia we work on four campaigns: Forests, Climate and Energy, Oceans and Sustainable agriculture and Genetic Engineering. 3. Does Greenpeace offer jobs for volunteers? What kind of jobs? We have an active mobilisation and our volunteer coordinator is with that unit. One of GP’s key strength is having volunteers so we have programmes to develop volunteers. It also depends on the skills and the intentions of the volunteers who want to join and help us. It can be from helping out in the office with the staff or volunteering for specific activities such as fundraising events. We also have trainings for specialised skills that are important to our direct actions such as boat driving and climbing. Some volunteers also help in managing our online community or just by spreading the word to other people and get involved as cyber actvists. In some specific campaigns such as the Climate campaign we once trained volunteers to be communicators of the issue in their respective communities. 4. Where is Greenpeace Philippines located and how many people and volunteers are working with you? Our office is at 302 JGS building, 30 Scout Tuazon Street, Barangay Laging-handa, Quezon City. We have around 40 staff and around 100 volunteers (probably more depending on their availability). 5. 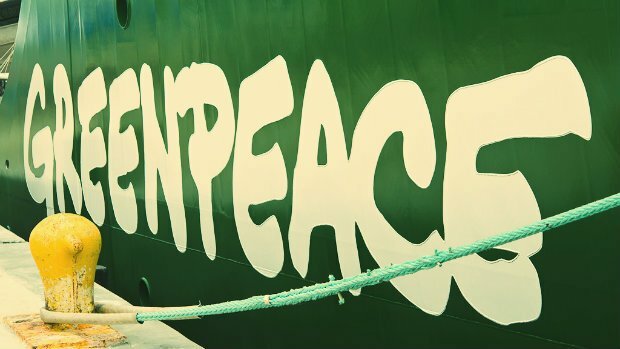 What about volunteer and working opportunities at Greenpeace worldwide? One can always check the different country offices and their websites and click the “jobs or work for us” links. 7. Do you also offer jobs for people from abroad? How can candidates apply for the job? We actually have a few posts that are occupied by people from abroad. Post openings are usually announced in papers and on the website and applicants go through a process before hiring. Application forms are also posted there. Thank you so much Danny for answering our interview questions. Habt Ihr Fragen an Danny?